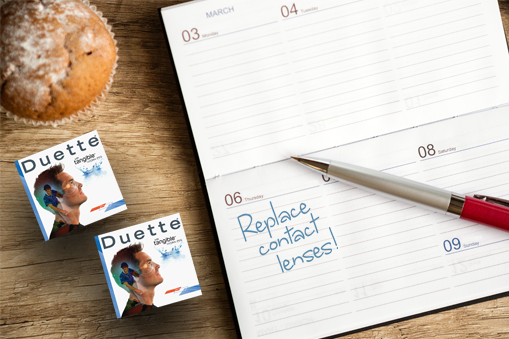 This blog is geared towards our contact lens wearers and covers broad topics like eye health and eye diseases as well as helpful articles on the handling and care of SynergEyes lenses like Duette and UltraHealth. Do your contact lenses sometimes feel uncomfortable at the end of the day? Or, have they recently started to feel less comfortable than they once did? Always wash your hands with mild soap and dry them well with a lint-free towel before handling the lenses. It is a good idea to handle your lenses in the same order each time to avoid getting them mixed up.